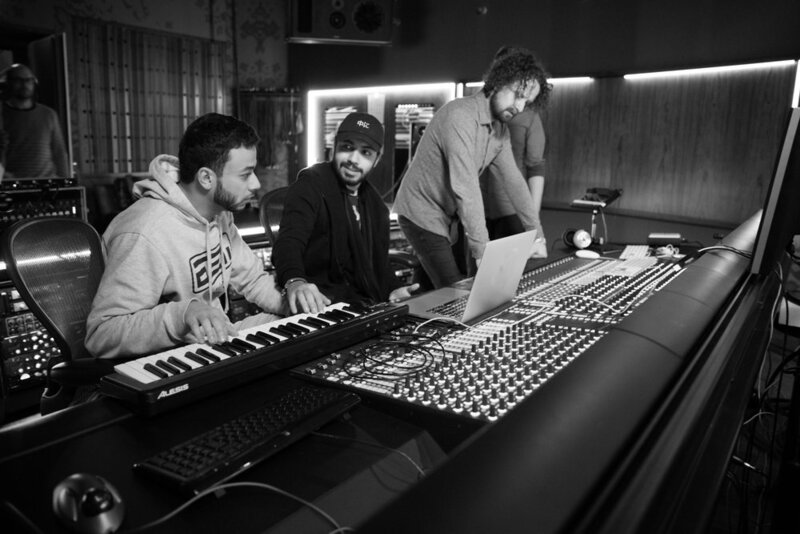 Born in Tunis, studied in Paris and now based in Dubai, Aeli is a Neo Hip-Hop Producer and DJ. Influenced by composers such as Nine Inch Nails and The Mars Volta in their way to cross boundaries in total freedom with having a true identity. “Zoetrope” enters a new dimension with the undefined boundaries not only between history and culture but between time and space and transitions us into a new journey of sounds, intriguing and playing with our senses. Translating his background into a story allows Aeli to narrate his identity and path, creating “Zoetrope”, an autobiographical project. This opus summarizes the past three decades of Aeli’s motion through three cities and their impact on his perception. It is no coincidence that Aeli’s “Zoetrope” consists of three tracks, guided by three characters, all complimenting and overlapping each other. What was the creative thought process/influences behind the new EP? This is a very personal project, an autobiographical opus. It narrates the summary of my life: the places I've been to, the things that have happened to me and the occurrences that have had an effect on me. Basically, everything I've been through and everything I am, has been translated into music and that’s how Zoetrope, came to life. You mentioned that there's a real mix of history and culture into this EP - How has this transcend into your work and how important is it to represent your roots? My music pays tribute to my roots and, in a sense, reincarnates the legacy of the country that I’m from, Tunisia. Not everyone will be able to recognize the Arab and Oriental traditional chanting, melodies and instruments that I choose. I want to play with peoples desire to discover the unknown. I want my audience to want to learn about the origins of my sound, to dive deeper and inquire. This way, I get to connect with my audience on a more personal level. Which is what this album is to me; very personal. It is important to me to show where I'm from. Tunisia is a great fusion of influences. It’s a blend of civilizations: Byzantine, Roman, French and Arab. In different part of Tunisia you can actually feel the impact of a particular culture. This country represents me, it almost talks for me, and talks about me in a lot of different ways; historically, geographically and culturally. Something that I wanted to resonate through my music; especially this project is experience and perception. The samples that I use, the instruments that I choose to include, the keys that I play in, are all carefully picked to narrate a certain point of my life. Talk to us a little about how see you the coming years for Middle East hip-hop scene? Over the past years there has been an immense peak in the development of the Hip-Hop scene in the Middle East. We have real, raw talent here, and while Hip-Hop did originate in the US, it is acquiring its own distinct character and sound in the Middle East. You can see the development as it has started to spread internationally. Therefore, more international artists have started making their way to the region, preforming and collaborating with local talents. I truly believe that this is just the beginning. Any particular artists you're into at the moment? Ekali, Juelz and Falcons. I really admire their music. Its something that I look forward to. If we are speaking in general, then the next step would be touring and performing more internationally. Creating new collaborations with producers that inspire me. And finally, go back to beat making for rappers.